If you are a long time reader of my blog, you’ll know that I love graze box! 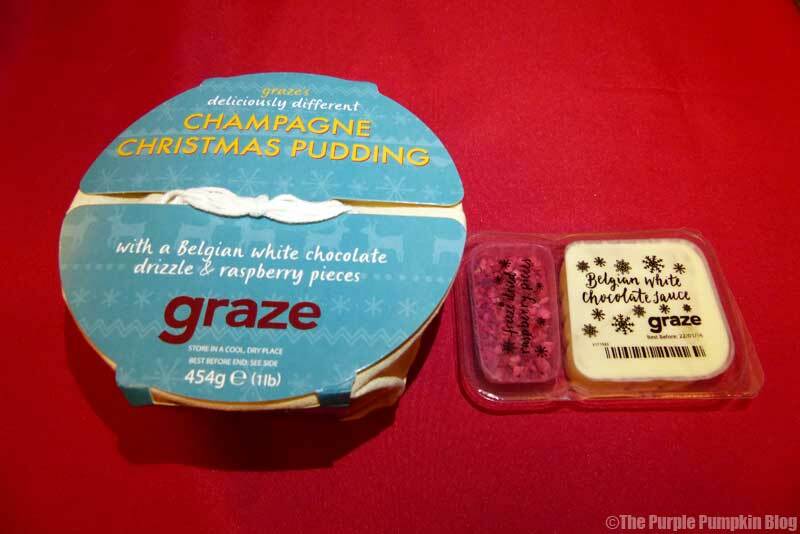 But it’s not just about the snack boxes any more – graze have introduced a limited edition Champagne Christmas Pudding – and as a graze ambassador I was sent one of these puds to try out. So whilst decorating the Christmas tree this weekend, we warmed up the graze Christmas pudding, and tucked in… and very yummy it was too! 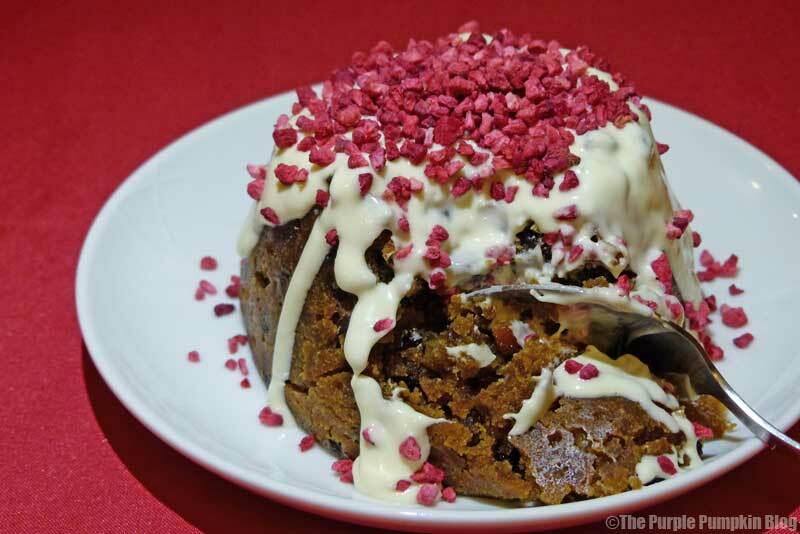 The 454g pudding is light, and flavourful, not overly sweet, and definitely tasted boozy! This pud contains Marc de Champagne and French Brut Champagne (12% ABV) using Pinot Noir, Pinot Meunier and Chardonnay grapes. The sweetness comes from the creamy and delicious Belgian white chocolate sauce, which in turn is cut through by the slightly tart freeze dried raspberries pieces. This pud contains gluten and milk, so not suitable for those with allergies; but it is suitable for vegetarians. The full ingredients list can be found on their website. To warm it through, we just popped it in the microwave, but you can also steam it in the traditional way. The pudding comes inside a muslin bag, ready to do this if you so wish. All the instructions are included on the outer wrapper. The sauce is warmed up so that it has a pouring consistency, and that is poured over the hot pudding with the raspberries on top. The Christmas pudding costs £10 (inc. P&P) and serves 5 people. The box it comes in won’t fit through your letter box as a regular graze box does, so it’s recommended you have it sent to an address where someone can take it in, or, of course, you can pick it up from the sorting office later on. 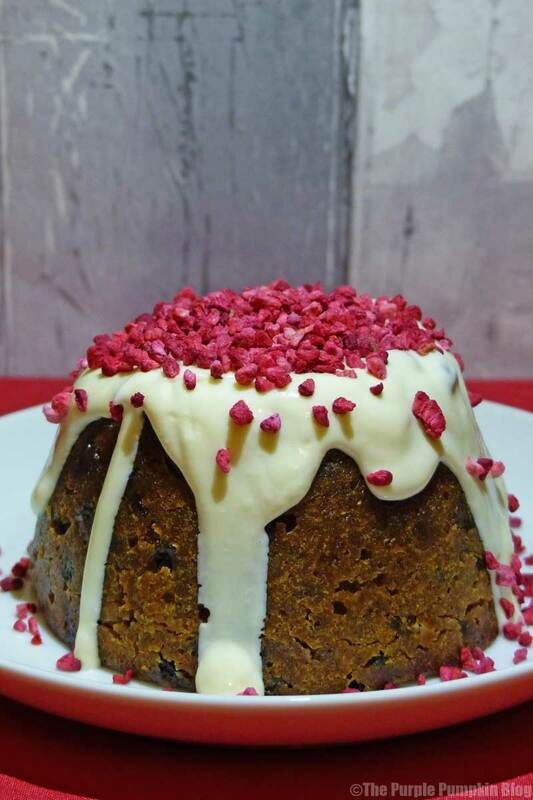 Royal Mail are now starting to get busy, so it’s wise to order your limited edition champagne christmas pudding now, you don’t want to miss out on this tasty Christmas favourite from graze! I am a graze ambassador, which means I receive free graze snacks and boxes from time to time. I will indicated if this is the case. You will find all of my graze box blog posts here.